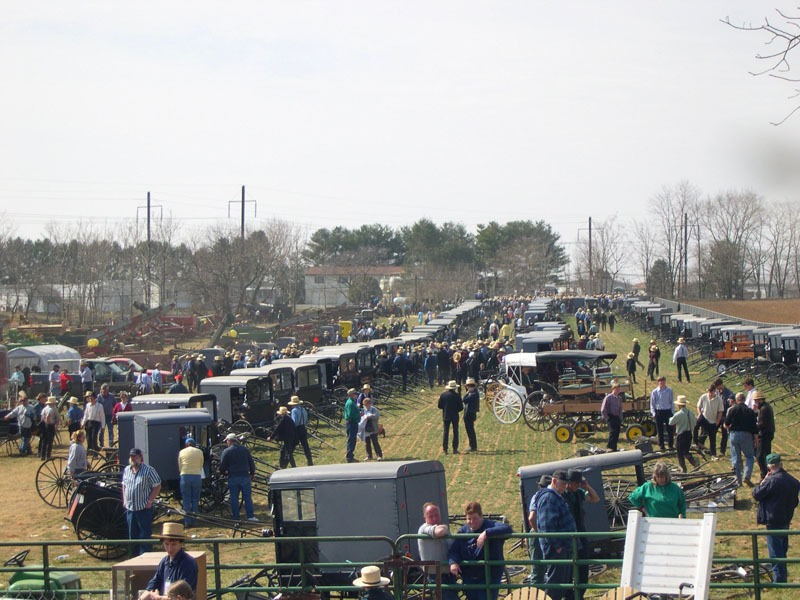 OK, finally, it is what we have been waiting for, the biggest Mud Auction of them all, the Gordonville Auction. Preview is Friday March 13th and the auction is Saturday 8:30am. Be there!! It is so cool. 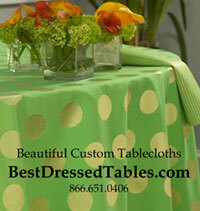 Great quilts ( over 600)-antiques and crafts. Of course there are buggies, horses and farm equipment – but they are harder to get in the back of your SUV. One year I bought a huge desk and had to go back to our friends house- to drop off all the kids and get some strong help. Aaron, (Sylvan’s dad) who was about 75 at the time, offered to go back with me. Sylvan tried to discourage him due to his age and Aaron said ” Hey- I don’t want mow your grass – but if it’s just the same to you – I’d like to go”. After we got in the car he said – “I’m going for the soft pretzels – we”ll find some young bucks to help with the desk”. I’m so glad he went because that was the last year Aaron went to the Gordonville Auction. He died the following January. Aaron, if you can hear me - I will think you all day when I am there. And I will eat a soft pretzel – just for you. I miss you! 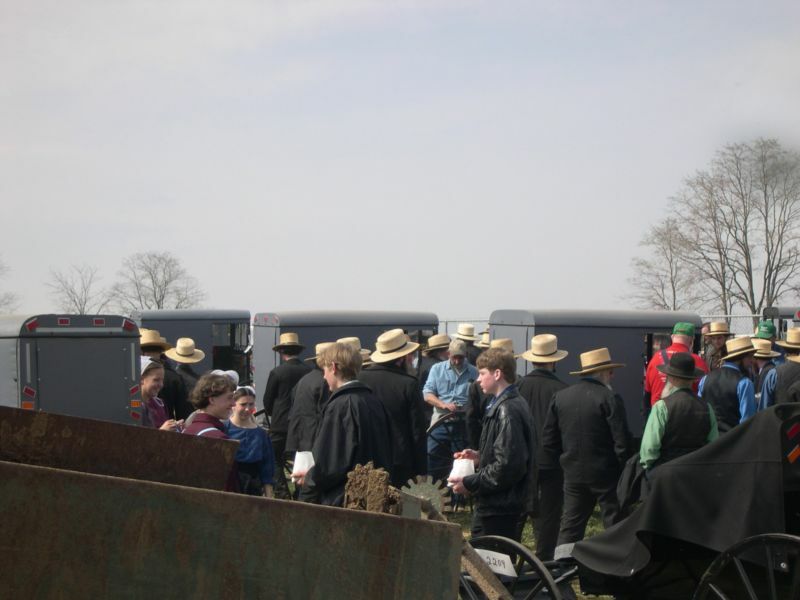 There are lots of Amish and English. I hope the weather is nice – it will still be crowded either way but it gets awfully muddy if the weather is bad, hence the name “Mud Auction”. Get there early- get your bidder number and yes you can use a credit card. 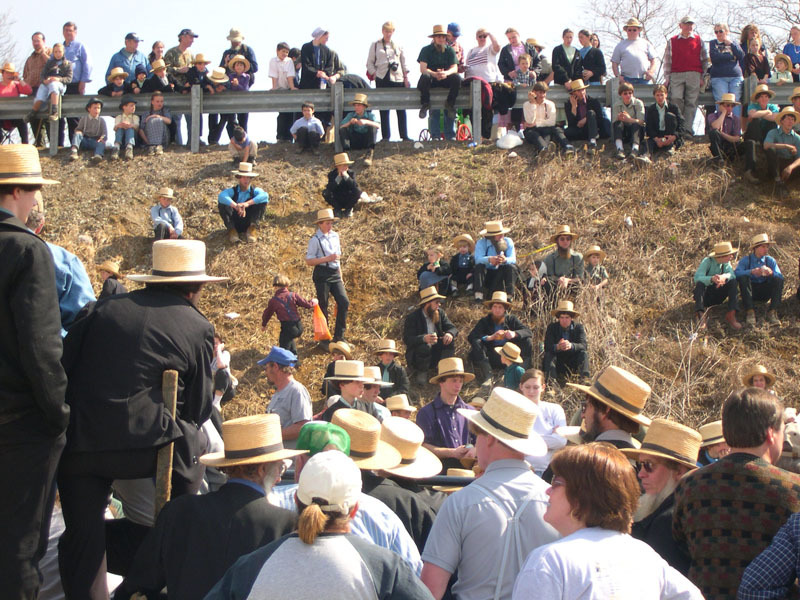 The Amish may not use plastic for themselves but they often have no problem taking your plastic. Checks work too! Hope to see you there. WEAR MUCK BOOTS! This is a banner day for The Faux Farm Girl.